Judging from the emails that I get and the clients that I see, many of you are looking for more information about how to repair a relationship after something big, like infidelity, has happened. How do you repair trust? 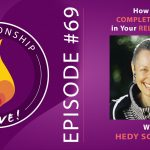 How do you get your relationship from a place that can feel like total chaos through to the other side – where you have a new sense of possibility and vitality in your connection, and what’s happened is just a distant memory? Today’s guest is Terry Real. 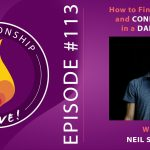 You may remember him from episode 4 on Advanced Relationship Jiu-Jitsu – he’s the author of the book The New Rules of Marriage, What You Need to Know to Make Love Work, founder of Relational Life Therapy, and internationally known couples expert and family therapist. 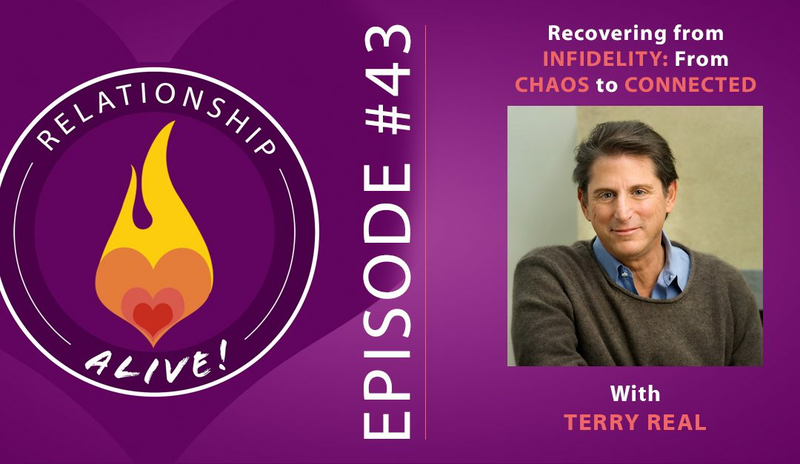 Terry Real has also partnered with Esther Perel for trainings on the topic of recovering from Infidelity – which is one reason why I thought he’d be a great guest expert on this topic. 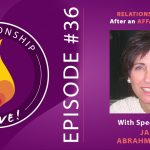 So on today’s show, we’re going to revisit the topic of Infidelity (which we also covered in episode 36 with Janis Abrahms Spring), and tackle exactly what steps are involved in how to repair after an affair. A couple housekeeping things I also wanted to mention. For those of you who are listening right when this episode comes out, you should know that Terry and Esther Perel have also teamed up for a new online course, called the Power of Intimacy. 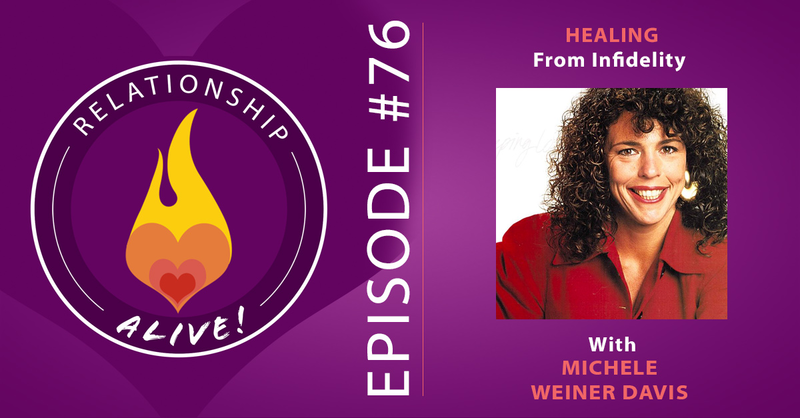 The course explores the influence of power dynamics on the passion in a relationship – and how to come back into a healthy, vibrant balance when things are out of whack. The course was designed for primarily for couples therapists, and I know a lot of you listening to the show do with couples and might be interested. I got a sneak peek at the course, and I think there’s a lot of good stuff there for you even if you’re not a therapist and simply interested in advancing your skills in relationship. For more information you can use the link https://www.neilsattin.com/power – and that will take you to their site – and if you do happen to buy their course a portion of the course fee will help support the podcast. If you’re interested in their course and don’t want to necessarily support the podcast, you can just visit http://www.powerofintimacy.com directly. The course enrollment is only open for a few more days (because it includes live calls with Terry and Esther Perel) – so if you’re interested – check it out before they close the doors. One last thing. It’s summer! And I live in Maine – so every year when the temperature soars above 60 it feels like a miracle. I am going to do my best to keep this a weekly show, especially for you loyal listeners – but that might mean getting creative with the content here and there since many of my guests are taking summer breaks – and a little more difficult to track down. However, if I miss a week here and there don’t despair! This podcast isn’t going anywhere. After all, we were recently named one of the top 10 relationship podcasts by Women’s Health Magazine. That couldn’t have happened without you – your help getting the word out and keeping the ideas coming for interesting episodes. And there are definitely some interesting episodes coming! YOU are responsible for what you do on your side of the seesaw. Always remember that you are responsible for the way you choose to act/not act. A difficult or unfulfilling relationship does not justify an affair. Yes, you may be completely right that your relationship needed some shaking up and change, but this does not sanctify hurtful or deceitful behavior. Holding yourself accountable. Boundaries are unique to each couple, and therefore must be defined together (hopefully before a transgression occurs). If you are currently in a relationship, bring this up with your partner with curiosity and compassion, and begin to ask each other about what your implicit and explicit rules about monogamy are: does it include texting? What should be shared and what can remain silent? Etc. One general rule to know if you are engaging in appropriate behavior with others is to imagine that a REASONABLE partner was observing or overhearing you. If they saw or heard what you were doing or saying – would they be upset? If so, treat this as a good wake up call! Distrust and trauma: Being on the receiving end of infidelity is a traumatic experience. The hurt partner’s sense of reality and trust is so deeply assaulted and violated by the actions that they are left feeling as though the ground beneath them is gone. So how does one come back and repair from such a reality shattering experience? The good news is that about 2/3rds of couples survive an infidelity (and the odds are greatly increased if you engage in good therapy). Phase 1: The beginning phase is focused on the fresh and raw hurt, and the insecurity that comes after the discovery. It is a time to work on acute issues including grounding and addressing the trauma that the hurt partner may be experiencing. The hurt partner might have acute symptoms such as throwing up, insomnia, nightmares, panic attacks, etc. Seeking support from a therapist to help with stabilizing is a good idea. Phase 2: This second phase is focused on exploring the underlying meaning of the infidelity. The focus shifts away from the specific details of how the infidelity unfolded, and more into an exploratory questioning about motives, lessons, and insights. Phase 3: The final phase occurs once resolution and repair has thoroughly been explored. The couple is now able to begin to re envision their relationship. The goal is not just to have couples survive, but to have the relationship transformed through the crisis. Reassuring behaviors: Reassuring behaviors are actions that the couple can take together to explicitly address transparency and accountability. This might include going over emails and text messages once a week, or sending photographs of what you are actually doing (are you in that hotel room you said you would be?). These requests must reasonable and moderate, and come from a place of building trust, rather than shaming/blaming or re-punishing the one who breached the trust. Keep some boundaries: partners do not need passwords to each other’s devices – instead, come together to look at your interactions with others and grow from these opportunities to reconnect. Moving towards investigative questions: While a reasonable amount of clarification after an affair/infidelity is appropriate and acceptable, the hurt partner must work to move away from detective questions that only scratch the wound. The growth and repair happens when the couple enters a deeper exploration together. Investigative questions include questions such as “what parts of you got woken up?”, “what did that mean to you?”, etc. How do I know you won’t do it again? These questions begin to be answered in the first phase of repair. In this phase the involved partner must take full responsibility to share and own their actions – to tell the whole truth without ragged disclosures and to make no excuses. They do not necessarily need to have remorse for the affair, but rather for the damage and hurt it has caused their primary partner. Repair then begins when the involved partner is in a place of ownership over what they did and willingness to look deeply inside and ask exploratory questions that will lead to understanding and change. As for question two, it is complicated! You don’t ever really know. Trust is provisional and you may never have that blind trust that you had before, but that does not necessarily mean that you are in a bad or weak relationship, it just means that you are not naive anymore. Trust develops from learning. The bottom line is that there is some risk involved in being in relationship! Love requires vulnerability, and so there is no ultimate protection or promise that can be made to assuage all worries. That said, couples can not only repair from a breach in trust, but gain a whole new dimension of connectedness and commitment. Trust comes from the learning that occurs through difficulty and challenge. You’ll recognize the repair in your gut – that feeling that your partner is not the same one who acted out in the first place. Use the hurt as a catalyst. Without putting a silver lining or a bow around the awful, it is possible to use infidelity as a catalyst for growth, and a chance to look deeply at yourself, your partner, and your relationship! TIP: It is very hard to navigate the rawness and depth of this hurt alone. Get some kind of support! 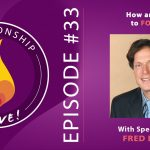 It can be incredibly valuable to have an objective third party help to hold your relationship as it reconfigures itself and to help address all the layers of healing simultaneously so that you, and your partner can not just survive, but thrive. https://www.neilsattin.com/terry2 Visit to download the show guide, or text “PASSION” to 33444 and follow the instructions to download the show guide to this episode with Terry Real.